It’s time again for another Book Bingo! Having gotten so close to finishing last year I’m looking forward to maybe completing the card this year, but even getting a line or two would be a great achievement. I have chosen a range of categories this year, reusing some of the ones I didn’t complete last year, as well as the standard favourites. I am trying to diversify my reading this year so instead of just reading from another country or with a character of a difference sexual preference, I am adding in an author of a different ethnicity and expanding my previous LGBQT category to read more from each of the different voices. I’ve also switched up my genres and formats so it should be an interesting selection I find. I am aiming to provide updates on progress at the end of each month, and when I review a book for the bingo I will include the icon again too. 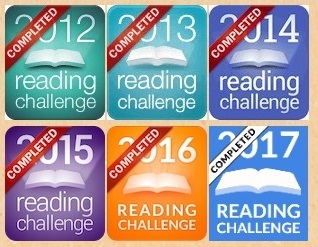 Are you going to participate in a Book Bingo this year? As in previous years you are more than welcome to borrow my card for your own Book Bingo, just remember to link to my page and attribute me properly.